There are many golf tips on driving that can be used to achieve the "priceless feeling". What is that "priceless feeling"? Admit it, we all want that priceless feeling when it comes to hitting our driver. However, if you want to achieve that feeling, it is first crucial to make contact with the ball in the sweet spot. Hitting the ball in the sweet spot on a consistent basis is the best golf driver tip you can use that will ensure you're not losing valuable distance. If you keep missing the sweet spot there will always be a percentage loss of distance on each shot. You may ask, "why should it matter if I am using one of these drivers that claim to have 9 sweet spots?" 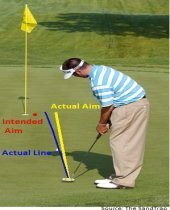 Well for every club there is one center of gravity and for all clubs that is the location of the sweet spot. So, don't fall for this trick because every club's sweet spot is no larger than a nickel. For example, if your potential is 250 yards of carry with a swing speed that is a 100mph and you hit a drive with a miss a 1/4 inch from the sweet spot, you will lose 25 yards in carry. 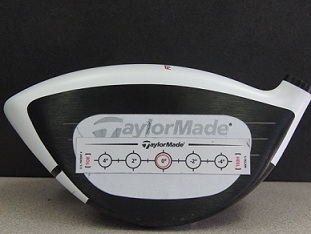 To check to see if you're hitting the sweet spot consistently you can apply face tape on the face of your driver. Using face tape will show you how often you are finding the sweet spot and your misses. You can find face tape at local golf courses who offer clubfitting services or you can buy the GOLFSMITH Longshot Impact Roll-Driver Face Tape. Once you have mastered hitting the sweet spot on a regular basis it is then time to add clubhead speed. To find out how check out Driver-Distance on how to gain clubhead speed. How can you find the sweet spot on a more consistent basis? One simple great way of doing this is to shorten your driver's length to 43-44 inches. On the PGA Tour the average tour player's driver length is 44.5 inches while drivers sold in retail stores are 45.5 inches. The longer the driver, the harder it is to square the face and find the sweet spot on a consistent basis. So, shortening the length of your driver is one of the great golf tips on driving that will greatly increase your chances of hitting the sweet spot. Don't worry about the 2.5 yards lost from shortening the length of your driver, it is much better to lose 2.5 yards than 25-30 yards from inconsistency of contact. Another great way of increasing your sweet spot contact is to improve your setup. Check out Driver Setup for free golf driving tips on how to setup and make contact consistently in the sweet spot. 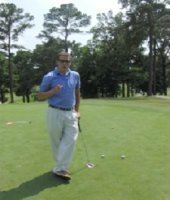 By following these golf tips on driving I am sure that you will not only add distance to your drives but you will also lower your scores by being longer and accurate. May the power be with you!